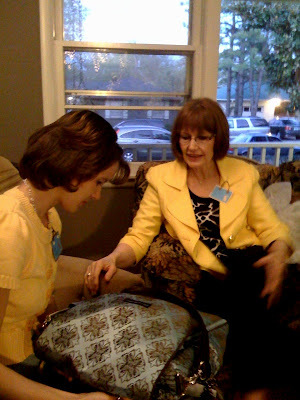 The Glamorous Life of a Housewife: Baby Shower! 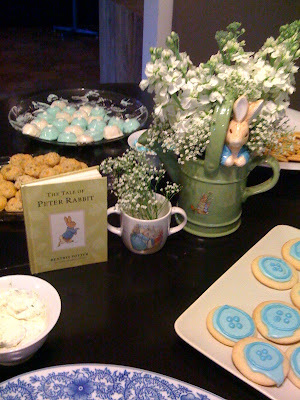 Last night was my very first baby shower ever! I had been sick all day prior (stress induced vomitting from my crazy last week) and just kept praying that I would feel good enough to get up and go! I stayed in bed until the last minute possible, and got the burst of energy I needed to go. Praise God, it was something I definitely DIDN'T want to miss!! 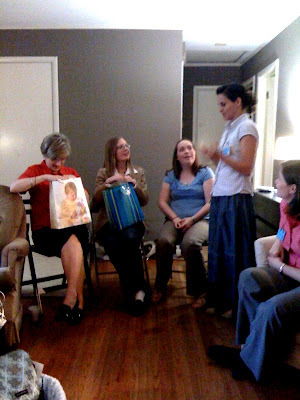 It was hosted by my sweet Sunday School friends and it was absolutely darling. I was very humbled by the whole thing - realizing what amazing people the Lord has surrounded me with in this Church. Guess who arrived and suddenly remembered she forgot her camera? Me. I WAS DEVESTATED. Everything was so so so so so so cute and I can't even show you. 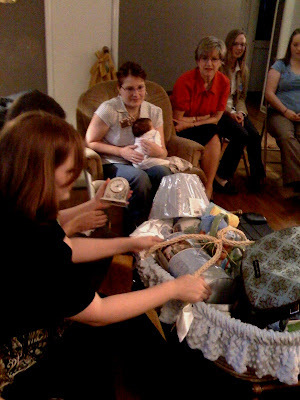 There were the cutest name tags you have ever seen in your life that matched the theme of Levi's nursery, precious little cookies, beautiful little cakes, a table full of yummy treats, a centerpiece that was absolutely perfect, punch to tickle your tastebuds, overflowing gifts of precious baby items, a devotion to bring a tear to your eye, laughter and fellowship flooding the rooms and best of all - a house full of fantastic friends to help celebrate this little life inside of me. I have another shower on Saturday with friends from my hometown. I'm so very blessed to have people from every stage of life help celebrate little Levi with me. So. Very. Blessed. I'm happy you are surrounded by such wonderful people! How fun!! I'm sure you are havinig a blast going through all of Levi's gifts! Pretty soon he will be here to enjoy them all! I hope you are feeling better! I hope you are feeling much better. No stress. Let everyone else handle everything else-do you hear me!!!!! See you Saturday. I can't wait. Love you. I bet it was an adorable shower!!! Glad you felt better to go! 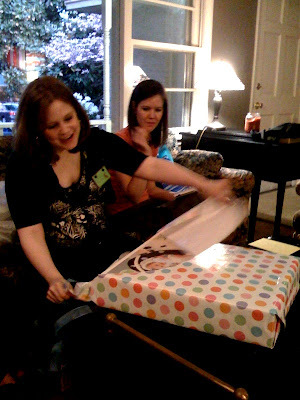 Baby showers are so much fun! Did you play any games? Sounds like you have wonderful folks at your church! R-E-L-A-X! Now is the time. Do not stress over anything! The good Lord has you taken care of! Looks like you have some GREAT goodies! Looks like a beautiful shower!! Sorry you have been sick, that is no fun! There was a lot of love in that room. Adorable! I am helping throw a shower in a few months...this gives me some great ideas! Oh so sorry you were sick yesterday. You looked great never would have thought that you were sick. I hope you have fun at your shower on Saturday. You got some great stuff! I LOVE that diaper bag! I'm sorry you were sick!! I hope you are feeling better now!! What a fun shower! And such cute things! Oh! It's Peter the rabbit! How cute! I'm sorry to hear you are stressed! Will you be able to go on maternity leave soon? You look GREAT from what I could see & cute decor - Love baby showers!! So much fun. Hope you are feeling better. This is a great post!! I just sent you an email. looks like a fabulous shower.